The first full trailer for Iron Man 3 will be released on March 5th and will soon be hitting cinemas around the world over the next few weeks. 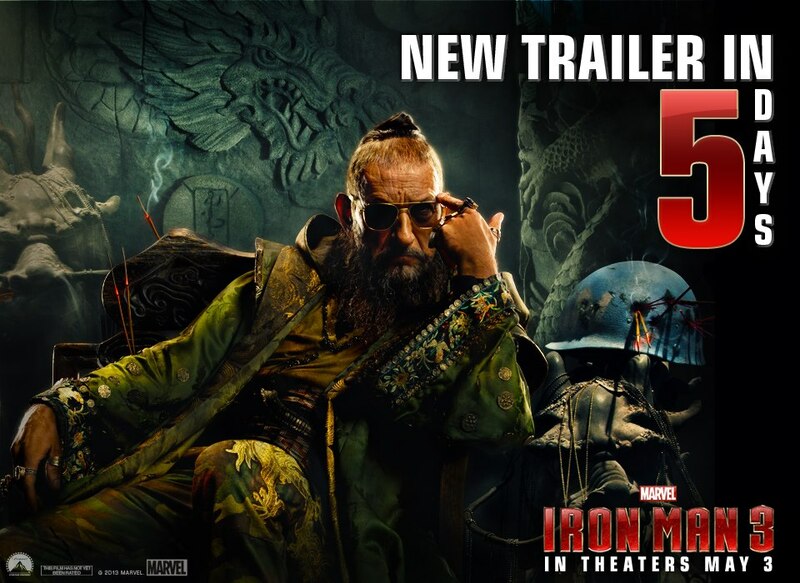 Marvel have teased us with a few new posters recently and this new screen cap of the Mandarin all blinged up. The soldier helmet on the side is apparently a UN helmet and not Captain America’s from WWII. It’s probably there to state how much of an international terrorist the Mandarin is. He has been mentioned in the previous movies but didn’t manage to make it to an appearance till the third. The glasses on the other hand do look like they might be Tony Starks. Maybe a souvenir from blowing up his beach house. We get to see the whole thing on April 24th for the Imax release date. The big question I have at the moment is will this be the last Iron Man movie for Robert Downey Jr? He’s said a few times recently in interviews that the first Iron Man movie was the best and none will top it. Either way I have a felling this one will easily top IM 2 for awesomeness.